This generation has been assimilated. Wait, so this wasn't normal in most homes? 1. Everyone wanted to play at your house because you had the latest toys. 2. Team killing was a groundable offense. 3. Your parents were wise to this trick. 4. You correctly used fictional slang. 5. And got in trouble for using fictional swear words. 6. The dining room table was not used for eating. 7. And the living room looked like this. 8. Halloween was a sacred holiday. 9. And a perfect trial run for Comic-Con season. 10. You got to stay up past midnight not only on New Year's but for midnight movie re-releases! 11. Family game night looked like this. 13. 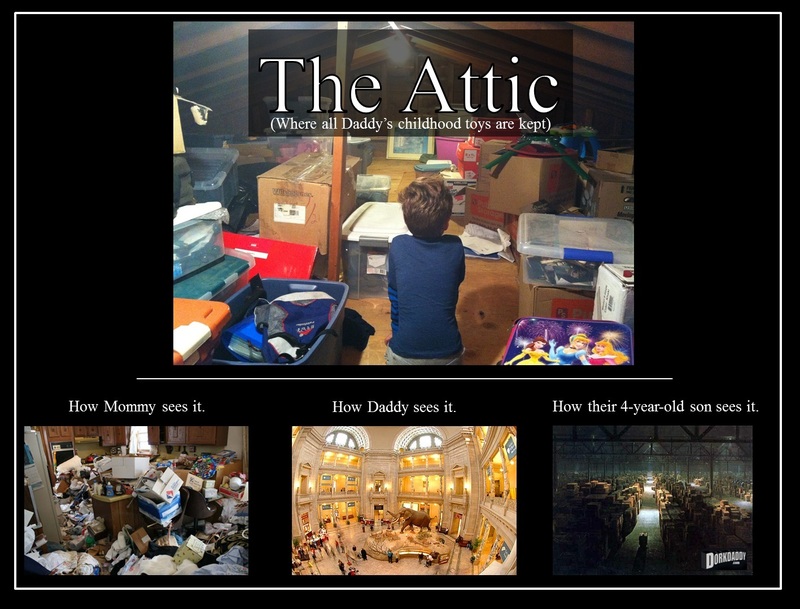 The attic was a treasure trove of vintage toys and goodies. 14. Your parents were totally hypocrites. 15. Everyone gathered on the couch to watch this. 17. You were given conflicting information about the morality of cheating. 18. You were born a Trekkie or a Star Wars diehard. Never both. 19. Your parents couldn't help with algebra homework, but could get you past the that hard boss fight. 20. You reached a point where the student surpassed the master, and you now possessed more pop culture knowledge than your parents.